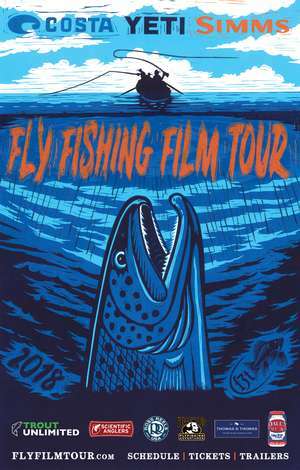 The Gorton Community Center is proud to bring you the 2018 premiere of the Fly Fishing Film Tour in Lake Forest, IL at the John & Nancy Hughes Theater. Gorton Community Center and Lake Forest Open Lands are partnering to bring this exciting festival to Lake Forest, IL for the first time! Films will be screened followed by a Fly Fishing expo with fly tying demonstrations, local fish shops, fishing expedition companies, etc. You won't want to miss this! Two showings at 1pm & 4pm - Tickets will be $15 for adults and $8 for children in advance and at the door. TICKETS ARE ONLY AVAILABLE ONLINE AT GORTONCENTER.ORG. For more information please contact Jamie Hall at jamie@gortoncenter.org or 847/234-6060.